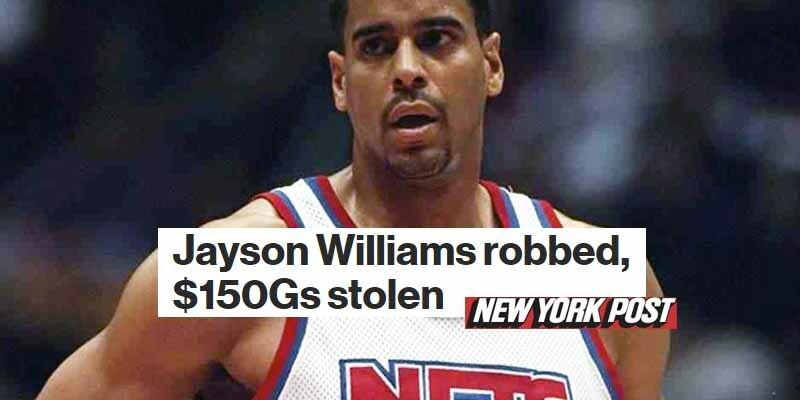 Former NBA star Jayson Williams had his South Carolina residence robbed while he was away from the house in 2010, seeing the robber get off with more than $150,000 in sports memorabilia, electronics and jewelry. Williams’ wife, Tanya Young-Williams, stated “I want my memorabilia back because they mean more to me than what they represent”. The memorabilia included golf shoes signed by Tiger Woods, basketball shorts signed by Wilt Chamberlain and a lyric sheet signed by Tupac Shakur.